The news of shutting Kannada-medium government schools in Karnataka down due to the lack of strength is not something new. But, there are some teachers who are doing their best to save these schools from closing permanently. 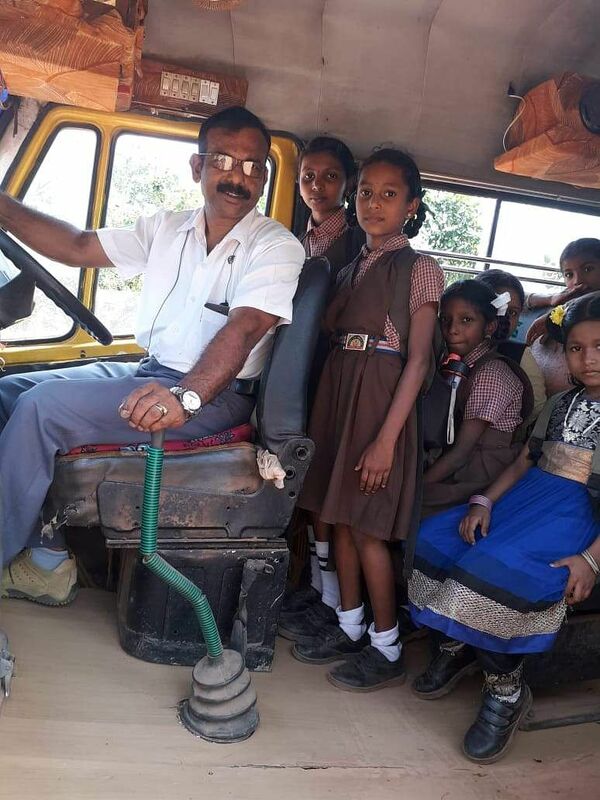 And some, like Rajaram have gone the extra mile to drive children to school. Literally! Rajaram's efforts have been applauded by parents who have nothing but gratitude in their hearts. Rajaram has been working two jobs for the last two years -- a van driver and a physical education teacher in a government school in Barali village, Udupi District. He says, "Two years ago, the school had a strength of 58 children, but when we started providing the transport facility, there were 72 children and now there are 89 children in our school. Currently, we have classes I to VII. These children come from a very poor background and their houses are far from the school. They have to tread through forests and it was obviously causing worry to their parents. Moreover, they can't afford transport facility as their parents are daily wagers. That's why I decided to take up this initiative to provide a pickup and drop facility. But, the biggest challenge was to gather money to buy a vehicle. Fortunately, an old student of our school Vijaynath Hegde came forward and bought us a second-hand tempo traveller." Realising that hiring a driver would be a financial burden, Rajaram decided to drive the vehicle himself. "If we were to hire a driver, we would have had to pay for his salary, apart from diesel expenses and maintenance cost, which would amount to Rs 10,000 at least. Now, our total expense on diesel for a month is about Rs7,000 to 7,500. These expenses are borne by the alumni of this school. They have formed a group called 'Old Students Association and at the end of every year, they pay me for the diesel expenses. In order to see that the van is not overloaded, we divide them into two or three groups and ferry them in the bus. It consumes a lot of time, but I don't mind doing it because I love spending time with these kids," he says happily. 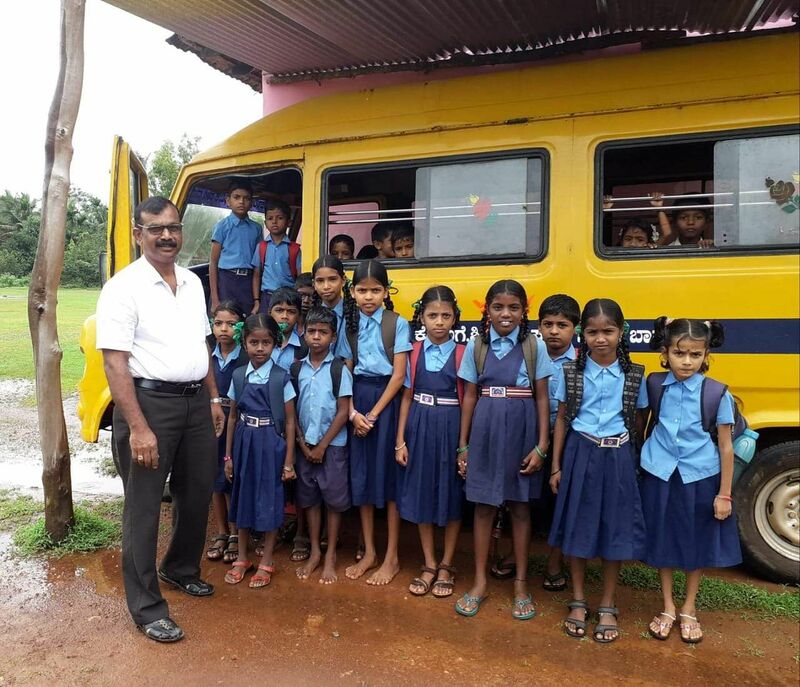 Hegde, who donated the vehicle was more than happy to be of help and says, "I am connected to this school emotionally. My father and his friends contributed money and built this school in the front yard of our house in Barali in 1958. In fact, buying a van was not a big deal as the school and our former teachers have planted seeds in us that cannot be measured by money."